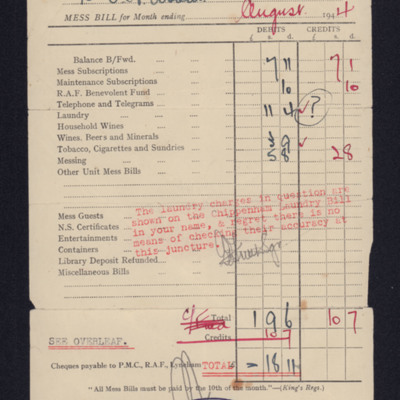 Type is exactly "Text. 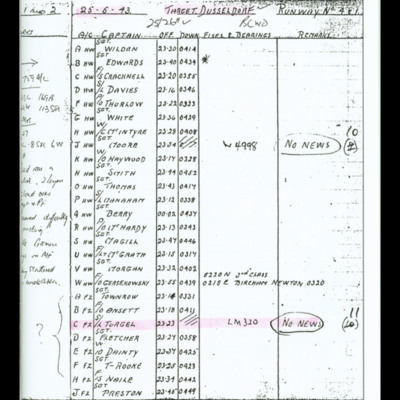 Service material"
The results of a medical examination of Malcolm Staves with a summary of medical classification. 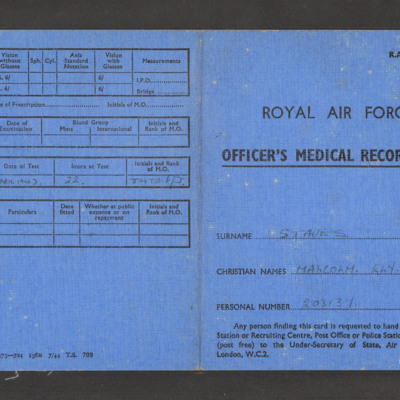 A record of the results of Malcolm Staves' medical. 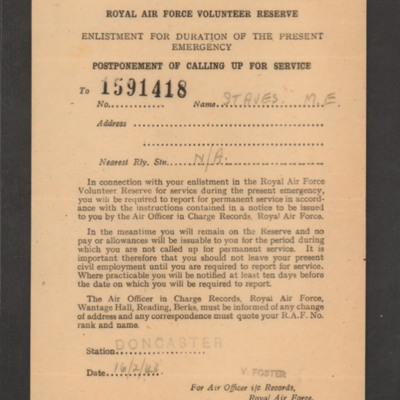 A document issued to Malcolm Staves advising him that his calling up is postponed. 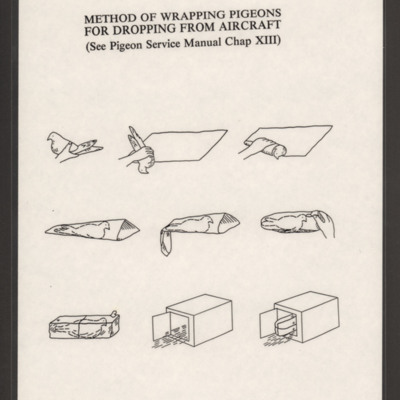 Nine drawings showing how to wrap a live pigeon prior to dropping it from an aircraft. 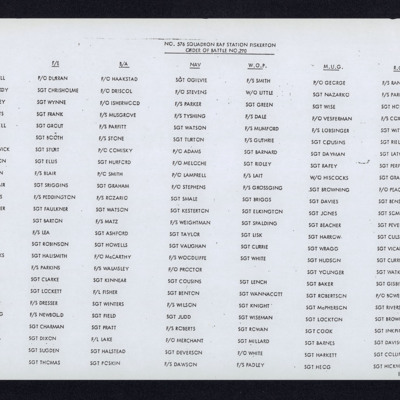 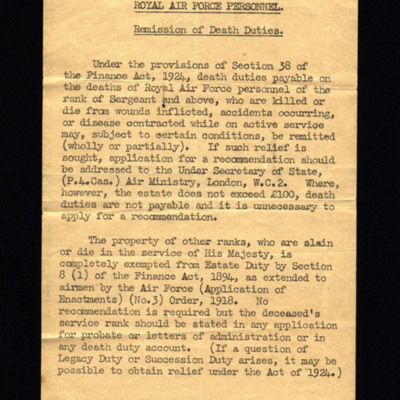 Letter from the Casualty Branch advising that her husband is missing as a result of air operations on 25/26 May 1943. 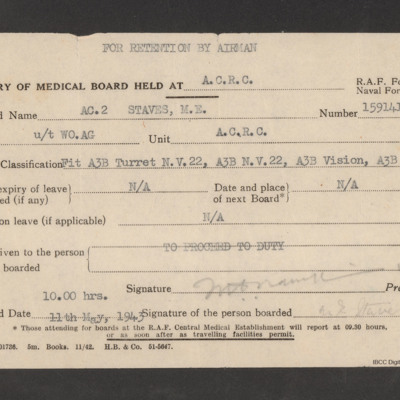 It does not mean that he was killed and enquiries are being made through Red Cross. 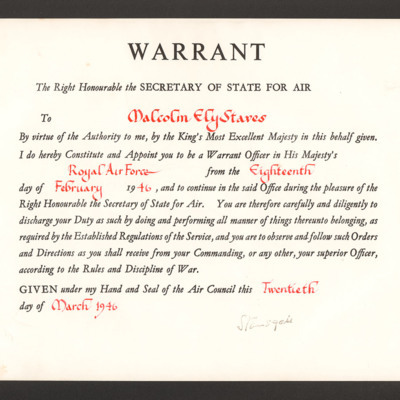 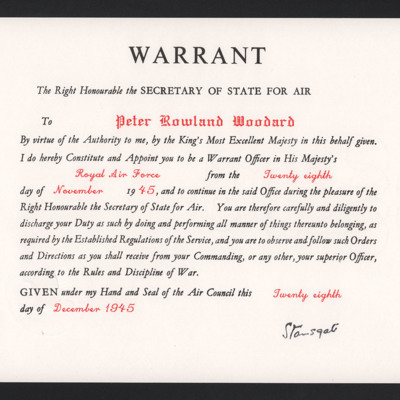 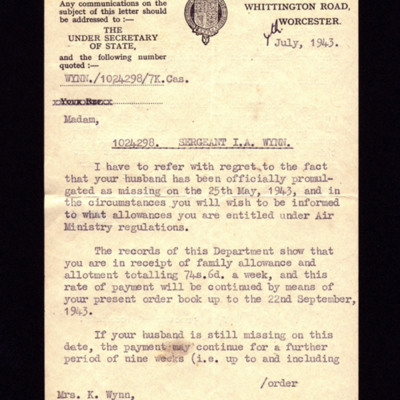 Letter from the Air Ministry to Mrs Wynn advising that as her husband was promoted to pilot officer at the time he went missing, she is entitled to a larger allowance. 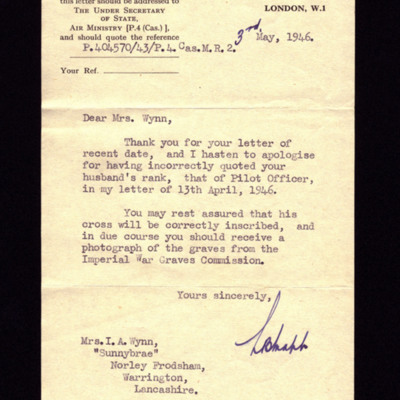 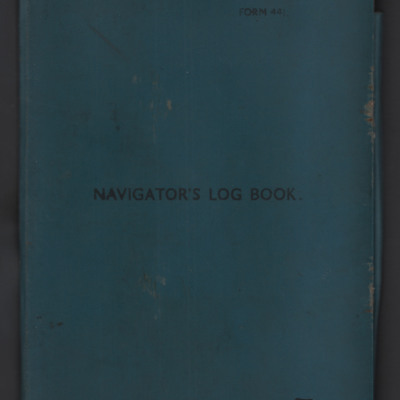 Apologises for incorrectly quoting her husbands rank, that of pilot officer in previous correspondence on 13 April 1946. 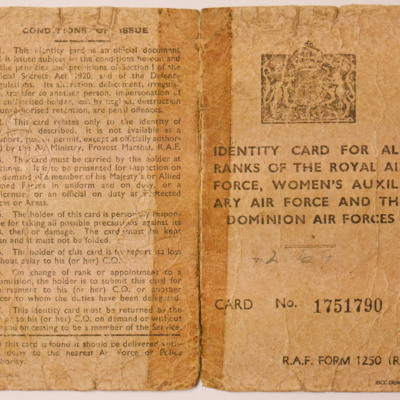 Ensure her that grave will be correctly inscribed she will be sent a photograph of it in due course. 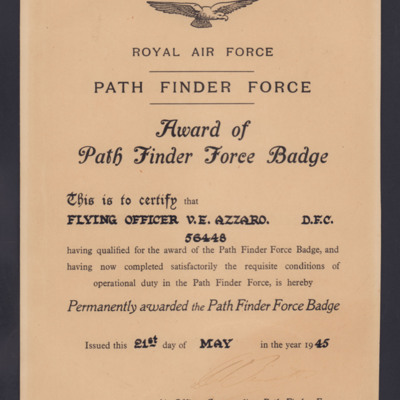 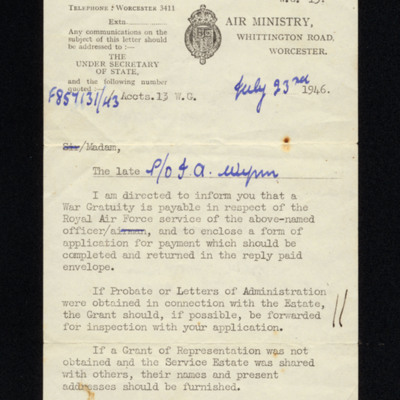 Refers to fact that husband is officially promulgated as missing and provides information on allowances entitled to and how long they will last..
Letter concerning payment of war gratuity for the late Pilot Officer I A Wynn. 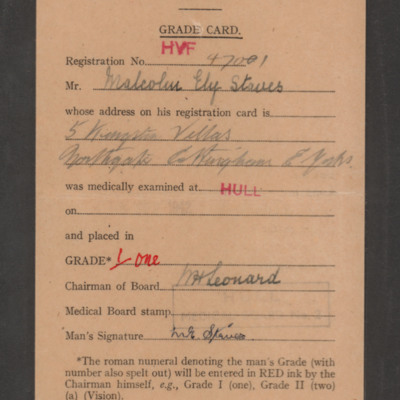 On completion of his medical Malcolm Staves was allocated a grade card at Grade One level. 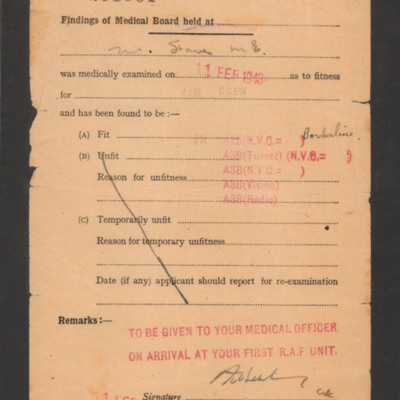 A letter requiring Malcolm Staves to attend a medical examination in Hessle.